The right half of the screen is a reflection of the left. Before the reflection was turned on, the carrot couldn't be reached, as it was in non-accessible space. 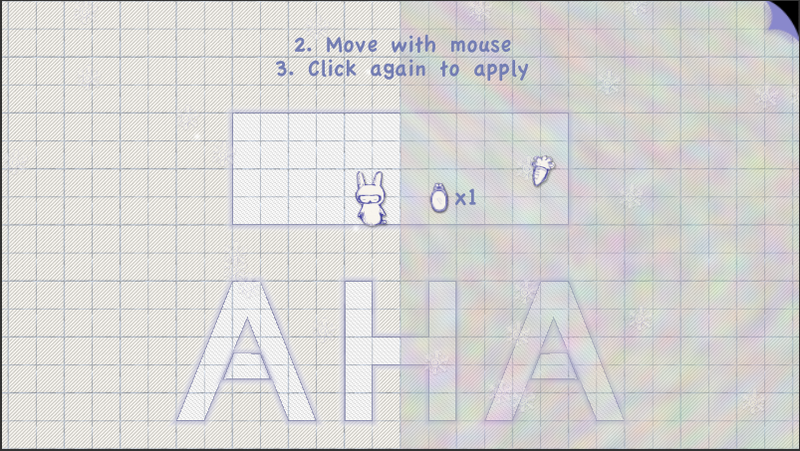 Now, with the playable space reflected, the carrot can be crunched! Simple, right? But that's the trick, isn't it? Finding an original, simple concept is no easy task! 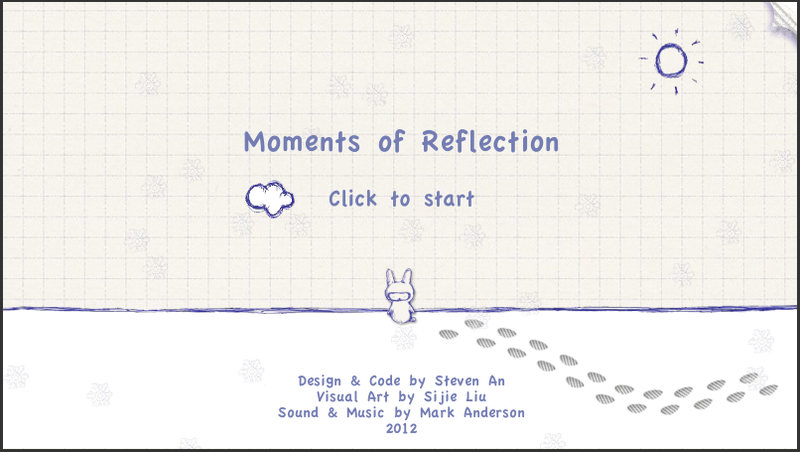 As you progress, you find the angle of reflection can be rotated eight ways, and clicking makes it permanent. Add a resource that allows more reflections, some key and lock puzzles, light platforming, and you get a wonderfully deep puzzler. It's not often you can say "I've never seen anything like that before," but here's your chance. Revel in the sensation of novel cranial activity for a while.